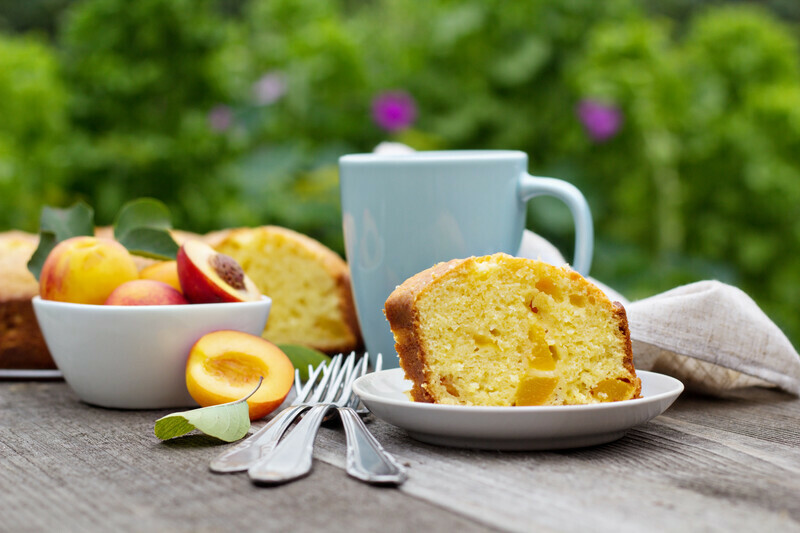 You will love this homemade Mango Bread recipe, it's moist and delicious. You may even frost this and make it more of a dessert cake. I like it toasted too, but it is totally up to you. Mango breads are popular in the South and meet the definition of quick breads; but this recipe produces more of a loaf cake (my kind of delicious). This recipe for Mango bread is wonderful. You may add chopped nuts or golden raisins if you want. Substituting applesauce instead of butter makes it more healthier. Add a little coconut if you wish. As good as it is fresh, it's even better the next day. One day wrapped in plastic seems to intensify the fruit flavor. PREHEAT oven to 350 degrees. Butter and flour 9x5 inch loaf pans. Place on a baking sheet. In a mixing bowl add the flour, baking soda, ginger, cinnamon and salt. Whisk together and form a well in the center. Add the white and brown sugar, eggs, applesauce and nuts. Finally add the mango and slowly mix into the flour mixture. Pour into the loaf pan and smooth the top with a rubber spatula. Bake for 45 minutes, or until it is golden brown and a thin knife inserted in the center comes out clean. Transfer the pan to a rack and cool for 5 minutes before running a knife around the sides of the pan and unmolding. Invert and cool to room temperature right side up on the rack. Wrapped in plastic, this bread will keep for 4 days at room temperature. A great mango bread recipe. Period. Be sure to check out more homemade recipes below.